The Program in Arms Control & Domestic and International Security (ACDIS) is an interdisciplinary venture at the University of Illinois at Urbana-Champaign that facilitates objective research, academics, and outreach about international security issues within the academic and policymaking communities. ACDIS successfully integrates insights generated by scholars from engineering, natural sciences, social sciences, and humanities to produce comprehensive analyses that do not reduce security issues to singular and simplifying explanations. International security challenges are approached as complex phenomena that can only be understood through examination of multiple causes and impacts. ACDIS pursues interdisciplinary research initiatives through developing grant proposals, collaborating with faculty and students, and administering grant projects. ACDIS currently administers a Climate Action Focal Point project, an interdisciplinary project to study climate action policy and international policy negotiations. ACDIS works with colleges, departments, and professors to support education and training for students interested in security studies. ACDIS currently administers the Undergraduate Certificate in Global Security. ACDIS also supports initiatives to create a Graduate Certificate in Global Security, a Master of Engineering concentration in Technology & Security, a Master of National and International Public Policy, and an undergraduate minor in global security. ACDIS disseminates important research findings, briefings, and educational materials about security issues to the public through programs and publications. ACDIS Speaker Series – a year-long series that includes presentations and discussions by scholars and policymakers to the university community. Transatlantic Security Symposium – an annual half-day conference that includes research and presentations by scholars and policymakers to the university community thematically focused on transatlantic security issues. Summer Workshop in International Security – a one to two week-long intensive summer workshop about a theme in international security for undergraduate students. Lecturers include scholars, policymakers, and experts. ACDIS Papers – an academic journal published by ACDIS that covers the field of security studies. ACDIS Policy Briefs – a collection of policy briefs published by ACDIS that covers the field of security studies. 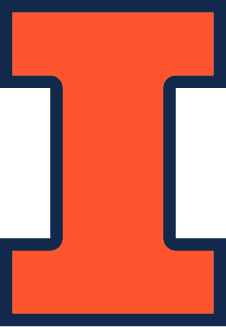 Illini Journal of International Security – a peer-reviewed undergraduate academic journal that covers topics related to international security or foreign affairs. IJOIS is published biannually through the ACDIS and the University Library. Other – ACDIS highlights books and journal articles published by ACDIS Faculty.